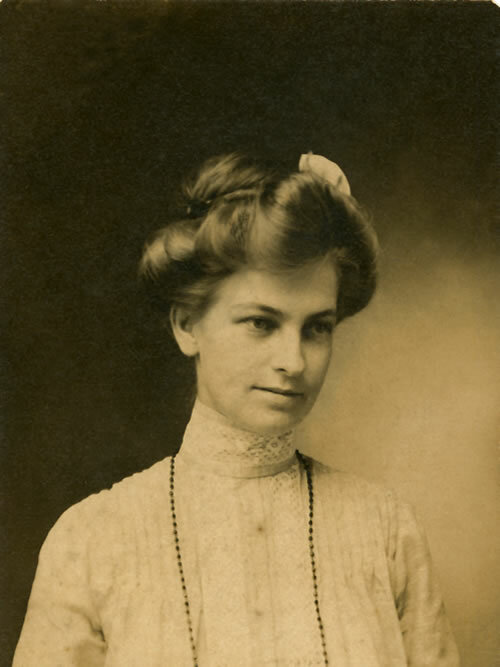 Evelyn Drennen Forrest was born in Cecil County, Maryland, on February 16, 1879. She grew up on a small township of Appleton. Her parents were Olive Griffith Drennen and Samuel Drennen. Olive Drennen often remarked that from the time Evelyn was very young, her daughter knew she wanted to become a teacher. When Evelyn was 20, she received her teacher’s certificate. However instead of joining the ranks of other educators, she decided to enroll in the Missionary Training Institute in Nyack, New York, which later became Nyack College. By this time, God had shifted Evelyn’s focus. She wanted to become a missionary to West Africa. During a week long revival near her home, she met Richard Forrest. He later remarked, “It was love at first sight.” From his way of thinking, it was and he prayed the same was true for her. Richard soon enrolled as a student at Nyack, where Evelyn already was a student. They fell in love but kept their feelings for one another secret until after both had graduated. Then on December 24, 1901, they were married during a simple ceremony at her parent’s home in Strickersville, Pennsylvania. Before they left Nyack, they received devastating news. Due to Evelyn’s asthma-related problems, the Christian and Missionary Alliance turned down their request to become missionaries. However, it soon became apparent that God had other plans for them—plans that would involve a greater work for missions than they could have hoped to accomplish any other way. Richard had been ordained as a minister and a few days after their wedding, they left for Orlando, Florida to do pioneer evangelistic work. They had very little money. Therefore, much of their time was spent traveling by bicycle across the state meeting people and telling them of God’s love and forgiveness. As a result of their efforts, over 14 churches were founded—many of these continue today. One of these is the First Alliance Church in Orlando. In 1903, Dr. A. B. Simpson persuaded the Forrests to move to Atlanta, Georgia to “help out with the effort.” (See Achieving the Impossible with God ). While they were living in downtown Atlanta, Evelyn began to emerge as a much sought-after Bible teacher. She taught several ladies Bible Study groups and began to notice her audience had become diverse—men were attending! By now, Richard had become the district superintendent for the Christian and Missionary Alliance in the south. His territory stretched from Texas to Florida to South Carolina. As the Forrests traveled across the country, one persistent need kept emerging: the young people, who were being saved as a result of Richard’s ministry, longed to go to school to be trained so they could enter the ministry. 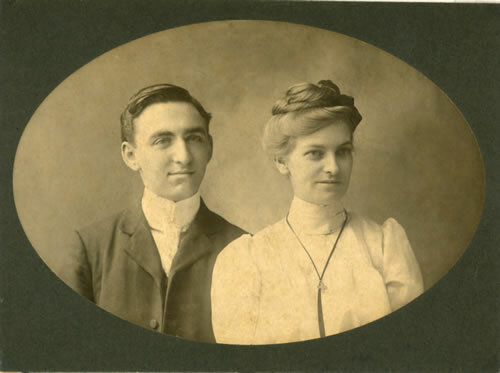 Therefore in 1907 after much prayer, the Forrests opened a school in Golden Valley, North Carolina, where men and women could receive an education regardless of their financial status. No one who had a desire to learn would be turned away. However, due to the inconvenience of this location—17 miles from the nearest train station—the Forrests decided to search for a better area where their fledging school could grow. They found it near the city of Toccoa, Georgia. In 1911, they moved the school—students and faculty—into what had been a summer hotel. Haddock Inn rested near the foot of Toccoa Falls. It had 52 rooms with hot and cold running water, bathrooms, a large kitchen and dining area, and lots of room for expansion. Evelyn Forrest was not just a teacher. Since Richard spent a great deal of time traveling for the CMA and raising money for the school, she served as the superintendent for the school, planned all the meals, and helped to organize a working farm. 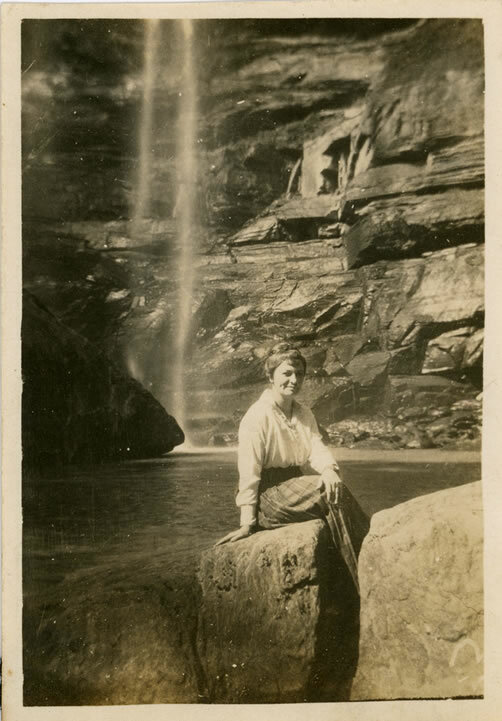 She taught Bible Synthesis at Toccoa Falls. The notes from these classes were written by lamp light in the wee hours of the morning while students were fast asleep. They have been re-taught many times over by her former students to countless people around the world. Evelyn Forrest was very active in the community. She taught a weekly Bible class held in the First Methodist Church of Toccoa. In 1925 when Richard became the pastor of the Toccoa Presbyterian Church, Evelyn began teaching the men’s Sunday School class. During this time, she taught in some of the larger Presbyterian churches in Atlanta. She also organized and taught a weekly Bible class in the city of Toccoa for African American women. While WTFI, the college’s radio station was located in the basement of the Presbyterian Church, Evelyn taught a weekly Bible class for listeners. Then when the station moved to Athens, she traveled there to continue her weekly broadcasts. In 1927 after a citywide revival held in Atlanta, Evelyn was asked to organize an interdenominational Bible class for men and women. She continued to teach this class for four years. The average attendance of this group was 500 people. Ninety people of this group never missed a single class. 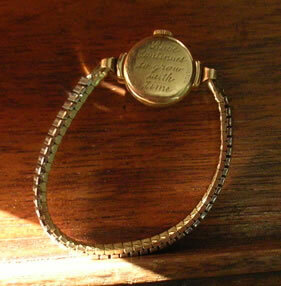 Evelyn Forrest also taught weekly classes in Ashville, North Carolina and Anderson and Greenville, South Carolina. There were always more calls for her to speak than she could answer. All of these classes were held in addition to her daily class work at the school. 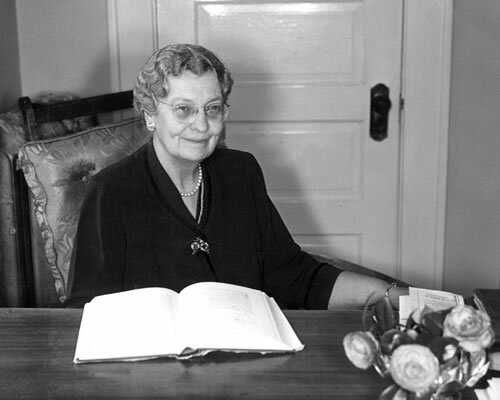 Many of the men and women who studied under the direction of Evelyn Forrest became well-known preachers, evangelists, missionaries, and teachers.